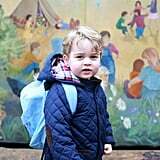 Prince George is growing up! 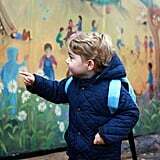 The 2-year-old had his first day of nursery school at the Westacre Montessori School in Norfolk, where the Duke and Duchess of Cambridge shared some sweet photos of their son in front of the school's colourful mural on Wednesday. 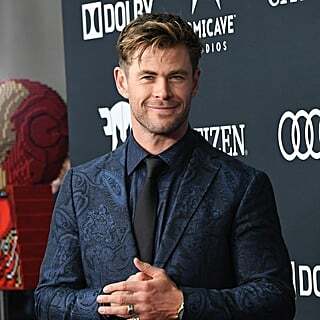 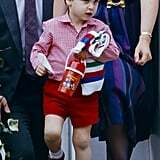 With his blond curls and happy smile, the young royal looked like the spitting image of his father, William, when he was that age. 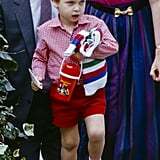 Will dressed in all red on his own first day at the Mrs Mynors nursey school in Notting Hill in 1985, accessorising with a striped jumper and a supercute Postman Pat thermos. Between the father-son duo's light hair, chubby cheeks, and preference for checks, these photos could almost be of the same person. 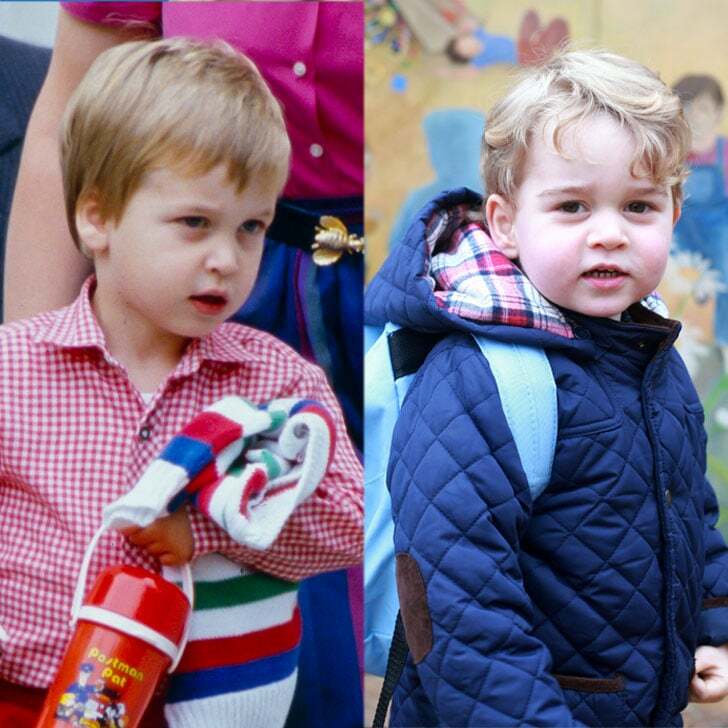 Keep scrolling to see how George's adorable first day stacks up to William's, and see their most heartwarming moments!